We are an NICEIC approved electrical contractor providing electrical services to the industrial, commercial and domestic sectors throughout the South East including London and surrounding areas. With a wealth of knowledge and invaluable industry experience in the electrical trade, our team test and certify works ensuring our electricians perform to BS7671 17th Edition Regulations. We provide free quotations and a friendly reliable service and all works come with a 6 year guarantee backed by the NICEIC. We encourage our staff to go the extra mile by having them trained in the use of Computer Aided Design (CAD), Electrical Design Courses, Asbestos Training, First Aid, Construction Skills Certification Scheme (CSCS) and Mutli-Trade/ Disciplinary Background Experience. We are extremely satisfied with the electrical work recently completed by Andy Cann of ACC Electrical at our house. Andy was very professional and knowledgeable, provided expert answers to all our questions and was prompt, not only with the quotation but arriving on time. The quality of work was excellent. We will be using Andy's services again very soon for some more electrical work, and would recommend him to everyone." 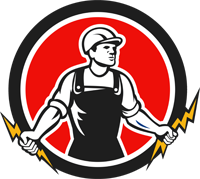 Are you looking for a reliable professional electrician?